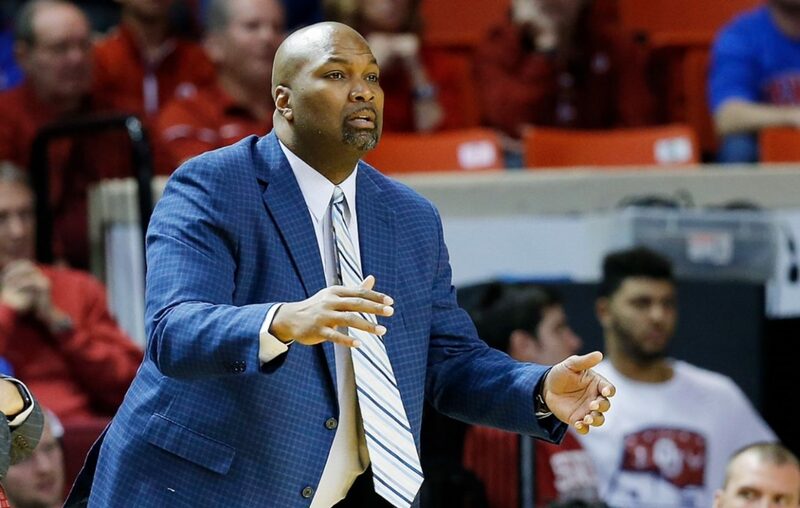 The University at Buffalo athletic department has spoken with at least three candidates about the school's head men's basketball coaching position. The News learned Turner Battle, a former UB player, interviewed by phone Monday with a search panel. Buffalo native Carlin Hartman spoke with UB administrators Monday, The Oklahoman reported. The Miami Herald reported that UB has contacted assistant Chris Caputo. UB is seeking to replace Nate Oats, who left last week to become the head coach at Alabama. UB is using Parker Executive Search, a search firm based in Atlanta, to help identify and vet candidates, The News reported Monday. Battle was a point guard at UB for four seasons starting in 2001-02, and is in his fifth season as an assistant on the men's basketball staff at UAB, including the last three seasons as an assistant with Robert Ehsan. Battle was the Mid-American Conference Player of the Year in 2005 and played professionally for two seasons in Europe, then with Fort Worth of the NBA Developmental League and the Buffalo Rapids of the American Basketball Association. He began coaching in 2007, where he was an assistant on Reggie Witherspoon's staff at UB until 2013, and joined the staff at Chattanooga for a year. UB inducted Battle into its Hall of Fame in 2010. He is UB's eighth all-time leading scorer (1,414 points). Hartman has been at the University of Oklahoma for the last three years and has been a college coach for nearly 20 years with time at Rice, Columbia, James Madison, Richmond, McNeese State and Louisiana-Lafayette. He grew up on the East Side and moved to Grand Island for high school, where he excelled as a basketball player. From 1990-94, he played at Tulane University and, after graduating, played a couple of years in the former Continental Basketball Association. Hartman is also noted for being a huge Bills fan. Caputo is a high-level recruiter, and a veteran assistant coach who has worked with Hurricanes coach Jim Larranaga for 17 seasons at Miami and at George Mason, where he helped Larranaga coach the Patriots to the Final Four in 2006. Caputo also has worked in multiple capacities as part of Larranaga's staff. At George Mason, he coordinated video, and coordinated the staff's recruiting database and mailing system. Caputo also was a candidate to become Delaware's head coach in 2016, according to the Palm Beach (Fla.) Post and the Wilmington (Del.) News Journal. NBC Sports Washington listed Caputo as a potential candidate for the opening at George Washington; Jamion Christian became the Colonials' coach March 21. It is unknown whether Caputo is interested in the UB position or how significant the discussions have been. Jim Whitesell is UB’s interim head coach, and Bryan Hodgson remains as an assistant. Hodgson told The News last week that he wants the head coaching job at UB, yet Oats said last week when he was hired that he intends to add Hodgson to his staff at Alabama. Oats said Monday on the Crimson Tide Sports Network that he will add Hodgson as an assistant coach and Mike Snowden as strength and conditioning coach for the Tide, according to AL.com. Hodgson did not return a message left for him by the News regarding his addition to Alabama's staff.